The Blimp Windshield, Hairy Cover, & Combo Mount/Grip/Stand can be used in conjunction with the Sennheiser MKH-8070 microphone to enhance audio directionality and reduce wind noise. The cage inside the blimp and shock mount enhances field-recording in noisy environments. 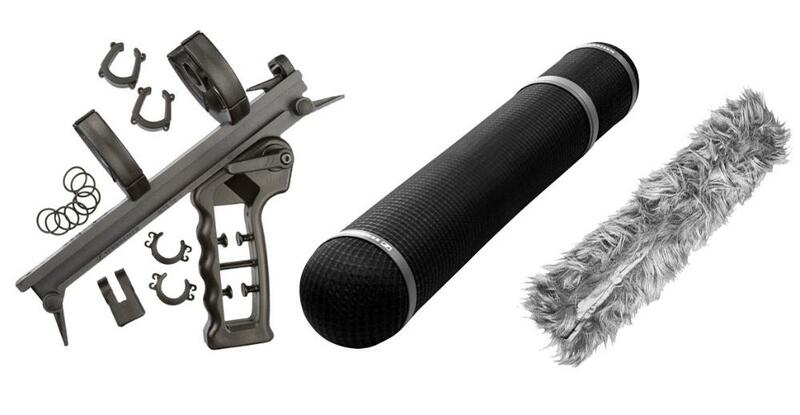 The grip handle lets you use the mic in a smaller environment or can mount on a boom-pole. Combined the two items effectively reduce noise from wind passing over the microphone.